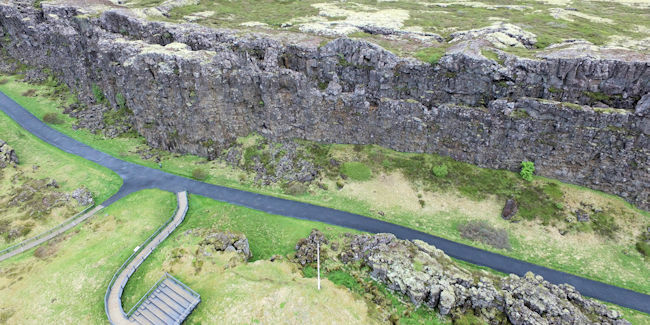 Þingvellir (The Parliament Plain) was the site of the Alþing, or National Assembly, which was founded by the leaders of the Norse settlers in c.930. The Alþing met for two weeks each year until 1798, when it was moved to Reykjavik. The first meeting of the Alþing established a national law based on an adaption of the Gulathing law of south-west Norway. Although all freemen could attend the Alþing, all judicial and legislative powers were held by the 36 goðar (the local chieftains) who were the only ones allowed to vote at the Lögrétta, or legislative council. The number of goðar was increased to 39 in 965 and to 48 in 1005. 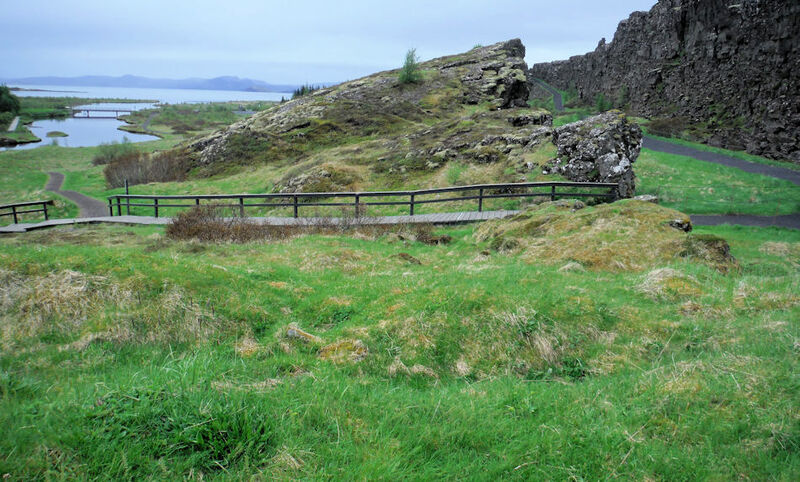 The grass-covered ruins of booths where the "Þingmen" and other visitors to the assembly stayed can be seen in many places around the site. The goðar elected the lögsögumaðr, or law-speaking man, who was chairman of the lögrétta for a term of three years. Each year the lögsögumaðr would recite one third of the laws from memory. 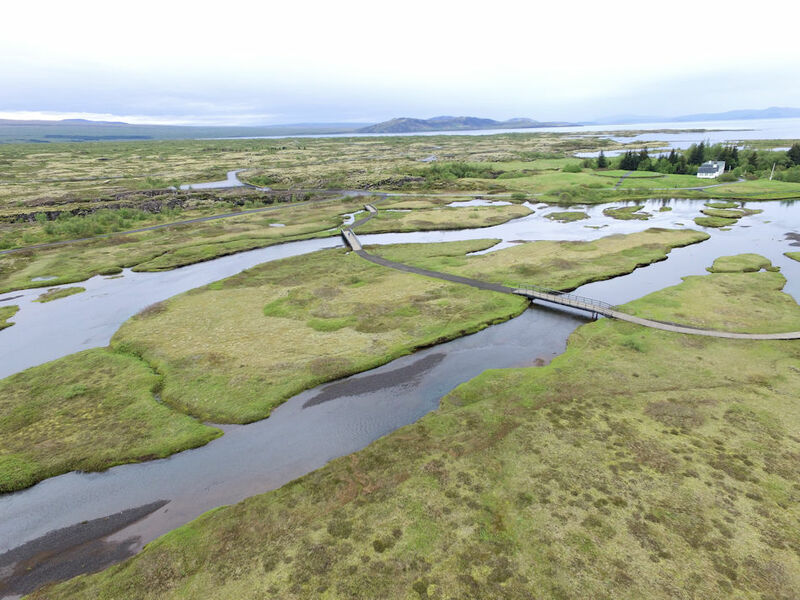 The Öxará river has been a prominent feature of Þingvellir ever since the assemblies began there. The Sturlunga Saga tells how the river was diverted into Almannagjá to give people at the assembly easy access to fresh water. In the 10th century, duels (Hólmganga) were held on the islet Öxarárhólmi, until they were banned shortly after Iceland accepted Christianity. Thingvellir, The Öxará River and the Lögberg.